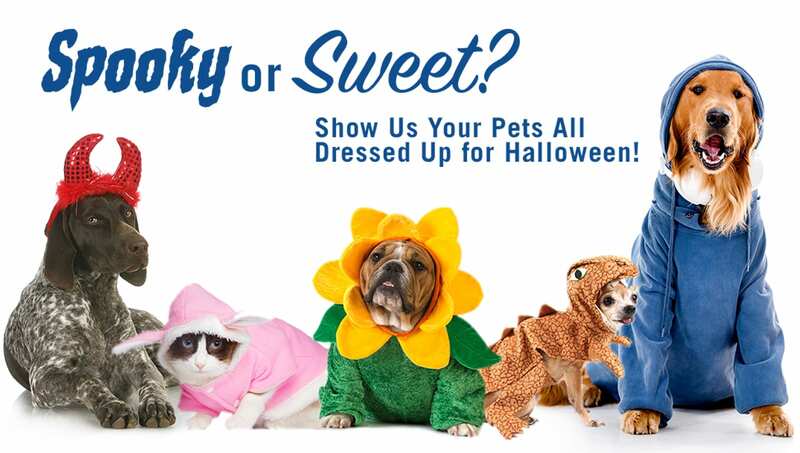 Share a Photo of Your Pet All Dressed Up for Halloween, and You Could Win Up to $50, Plus a Vetericyn Prize Pack! Halloween is almost upon us, and we can’t wait to see your pets getting into the spirit. Spooky, sweet, or silly, show us a photo of your pet dressed up in all their Halloween glory. Our pick for the best costume will win a $50 Visa gift card. Second runner-up will get $25, and a third-place winner will win $10. 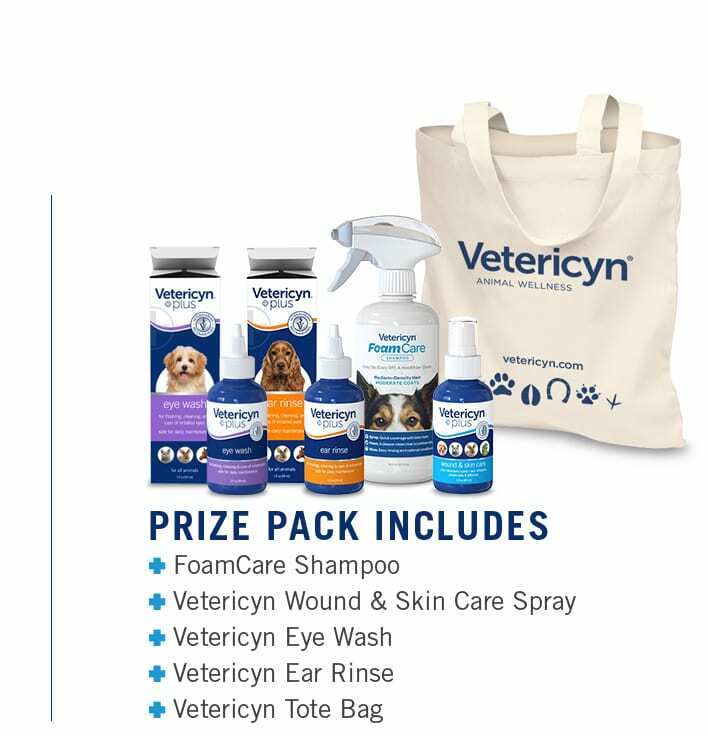 All three winners will be treated to a Vetericyn prize pack of animal wellness goodies! Enter our Pet Halloween Costume Contest. You Could Win A Treat for You and Your Pet! Image upload (png, gif, jpg). 10mb limit. 1 photo only. Contest runs from October 15, 2017 to November 5th, 2017. All entries must be submitted no later than 11:59 pm on November 5th, 2017. Judging will be done by select Vetericyn Animal Wellness employees. Winner will be selected based on originality and creativity. A total of three (3) prizes will be awarded: 1st prize: $50 VISA gift card and Vetericyn prize pack consisting of one (1) Vetericyn tote bag, one (1) Vetericyn pen, one (1) 3oz bottle of Vetericyn Plus Eye Wash, one (1) 3oz bottle of Vetericyn Plus Ear Rinse, one (1) 3oz bottle of Vetericyn Plus Wound and Skin Care, one (1) 3oz bottle of Vetericyn Plus Antimicrobial Hydrogel, and one (1) 16oz bottle of Vetericyn FoamCare Shampoo; 2nd prize: $25 Visa gift card and Vetericyn prize pack listed above; 3rd prize: $10 Visa gift card and Vetericyn prize pack listed above. Contest open to US or Canadian residents only. Winners will be notified via email by November 7th, 2017. Participants must own submitted content. Vetericyn Animal Wellness reserves the right to use and share content for marketing purposes once submitted to the giveaway.